I had Radio National’s The Music Show on in the background when I turned my thoughts to a review of John Hiatt’s latest recording and had already decided consistency was going to be the theme to riff off this time around. Andrew Ford kicked off with a track from the new Van Morrison, and that, I thought, was the way into this one. Around fifteen years back I was aenjoying Van the Man. He seemed to have located a rather pleasant groove, was mining that seam rather well and seemed to be displaying a fair degree of consistency with the odd flash of brilliance. I started to cool towards Mr Morrison somewhere around the turn of the century and while I haven’t heard all of the half dozen sets of new material between The Skiffle Sessions and Born to Sing I’ve heard (and read) enough to suggest we’re moving from groove into rut where Morrison’s concerned, largely due to an apparent willingness to surrender to an innate tendency towards Grumpy Old Man With a Substantial Chip on the Shoulder and a Simmering Resentment Concerning the Price of Fame. In any case, what I heard at the start of The Music Show on 6 October sounded a hell of a lot like what he was doing fifteen years ago, so I’m inclined to give Born to Sing the old flick pass. 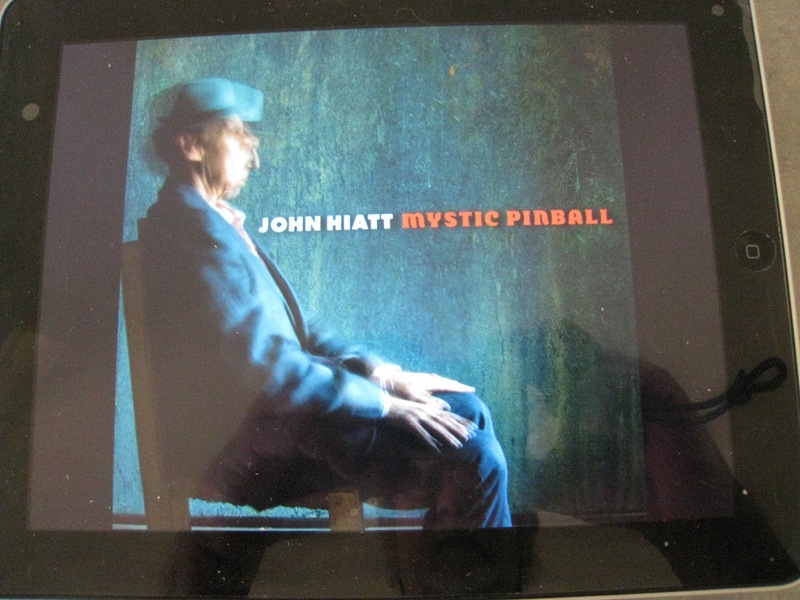 The new John Hiatt, on the other hand, comes as a reminder that Hiatt remains on the automatic purchase list, and we definitely need to fill in the gaps in the back catalogue, starting with 2008’s Same Old Man. The first thing to note is the continuity from Dirty Jeans & Mudslide Hymns. Hiatt has kept his regular road band (Doug Lancio on electric guitar, dobro and mandolin, Patrick O'Hearn on bass, and Kenneth Blevins on drums) for the instrumental component and producer Kevin Shirley in the control room. Lancio has been on board since The Open Road and the rhythm section dates back to Same Old Man, so you’d expect them to be up to just about anything Hiatt can throw at them. Dirty Jeans had an uncharacteristic slickness to it, and this time around Shirley pares things back a little while still keeping the sound sharp and focussed. See the opener, We're Alright Now for a close to faultless, radio friendly example of what I’m talking about, straight into a chugging heartbeat rhythm, funky, roar it out on the highway chorus (complete with handclaps). Gets things moving right from the get go, very much in the tradition of Riding With The King. As is often the case where Hiatt is concerned, it’s about character sketches rather than autobiography. There’s a girlfriend who gets her jollies from drawing blood on Bite Marks, and recollections of a former lover doing a hundred miles an hour through the trailer park on a motor cycle without a helmet before slamming into a concrete drain pipe on It All Comes Back Someday. Wood Chipper kicks off with an admonition to beware any conversation a man starts by calling you Skipper, has a bloke track his ex- and her new bloke on the run after an armed robbery down to a shack in the middle of nowhere. He bangs his knee on the wood chipper in the yard, winds up dead and ground up for bait and finishes the tale from the hereafter. Justice is done in the end since they’re ambushed down the road by the forces of law and order. She ends up dead and the cops are puzzling over what seems to be a coded note found in her breast pocket. The note, as it turns out, is a shopping list. The casual listener might be inclined to dismiss My Business as a throw away, but the tune gives Hiatt and The Combo a chance to rock out as they head into Howlin’ Wolf territory (there’s a howl at the end to round off the Wolf style riffage), and the change of pace as they rock out leads rather neatly into I Just Don't Know What to Say a slower number in the we’re losing it and I’m bewildered mode that features a rather tasty solo from Mr Lancio (whose playing is consistently excellent throughout) and some rather tasty imagery as the protagonist admits he’s lost for words as he surveys what’s left of a relationship he’s not ready to give up on. The lighter side of things gets another guernsey in No Wicked Grin, sweet without being cloying and Give It Up continues in upbeat mode, even if the narrator’s begging a mate to get himself off the sauce or whatever additive he’s using to make his life bearable. The pendulum swings back slightly for Blues Can't Even Find Me, with a protagonist who can’t see the big picture anymore if there’s even one to view. By this point in a lengthy career long term fans know Hiatt’s not likely to be springing any surprises on you, but that’s not a problem. You’re virtually assured of a well-honed collection of songs with intelligent lyrics, each one more than likely telling a story or portraying a character, on a new Hiatt album, along with an instrumental accompaniment delivered with precision, down and dirty when it needs to be, crisp and clear when that’s the appropriate approach. Another worthy effort from a master craftsman who has always been comfortably ahead of the pack, and not that far behind the likes of Costello, Thompson and Newman in my personal iconography.